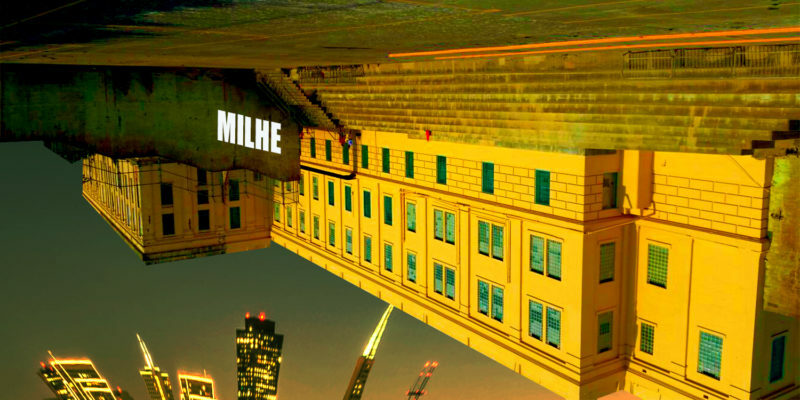 The artist MILHE returns this year with his most enjoyable and interesting album yet. Approval is the perfect opener and sets the bar well for what follows – you’re quickly drawn in by seductive blues rock riffs, a spacious drum-line, and a raspy, low vocal that confidently repeats the term I don’t need your approval. There’s a satisfying, cool and quiet, anthem-like feel to the track. MILHE reflects on the world, society, and his or the leading character’s role within it. A superb song, classic and gritty yet optimistic and clean at the very same time – making it feel new, and leaving you with very few comparisons to make. MILHE presents some of his best melodies yet on Melancholy In Popland – his best poetic references, his best vocals, and his best musicianship and production. If ever an artist has the talent and the work ethic combined to gradually create some of the most effective and memorable music out there, MILHE is the one. Under The Bridge follows the opener and brings back hints of that more familiar vocal – there’s comfort in his voice if you’ve listened to his previous work. With this though you also get a brilliant bass-line and some awesomely smart lyrics that are well worth a second run through. Impressive bass-work and musicianship in general continues to flourish throughout the project. To listen loud is the way, the finish is crisp and the songs weave deeply thoughtful, refreshing ideas around you. Tracks like Finally offer sentiments that feel incredibly familiar but also strangely ground-breaking – these seem like the things you knew about, but couldn’t find the words for. Enter the artist. Melancholy Day is a fantastic song, one that in full is clearly relationship-led but that offers verses which seem to connect with the depressive phases so many of us seem to go through – and the unspoken difficulties and darkness’s that run deeper than a simple appearance of sadness; I don’t wanna talk with anybody, not even you. You say I’m being melancholy, and that bothers you. Smooth and clear vocals accompany a cool bass-line during the verses and make-sure to leave their mark with wonderfully clever, poignant lyricism. A definite highlight, but the album is too good to tune in for only one song. Simple yet on-point bass-work continues with the openly loving You Lit A Fire. The song drives with an indie-rock rhythm and plenty of space, even a slightly less than joyful aura, musically, but in substance it’s a song about the overwhelming power of love. Communicate brings in more of the relationship aspect that soon becomes clear as a continuous thread. Rather than appearing in the usual fashion though, MILHE tackles the less discussed aspects of love – what it does to us, what’s needed in order to make it last; in this case, communicate with me, don’t shut me out. Things aren’t always easy or peachy and the artist makes no attempt to pretend that they are. This level of realness among such a calming, organic backdrop is easy to get on-board with. If We Ever Find The Heaven adds a hint of choir-like lightness and feels emotionally intense and uplifting in its reach for connection and answers. It’s Enough For Me follows and brings the energy levels up to create an almost EDM-funk fusion track, yet still with that deeply thoughtful, honest writing at its core. Park Your Heart presents a powerful bass-line again and contrasts it with a lighter, higher vocal. I may have said this in previous write-ups about his work, but it continues to ring true – even with a full-length album, MILHE always manages to create entrancing melodies that seem genuinely new. It’s a rare and valuable trait that helps give his music an authentic thread of uniqueness. The same goes for so many of his lyrics, they seem accessible but also fresh and rather eye-opening on occasion. I Used To Be closes the album with a reflective string of personal ideas accompanied by further dramatic bass-work and an intermittent wash of detail and musical power. 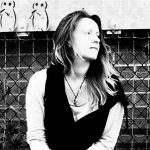 The use of contrast is stunning, the song meanders and evolves in its own artistic way – ending the project with a final reminder of MILHE’s continuously exhilarating way with composition and songwriting. A stunning project, his best yet without a doubt, and as always – a total joy to write about. There’s a classic or timeless feel to the entire playlist and it’s well worth losing yourself within for a while. Listen loud. Check out the album in full here.